Dixon's Darling Dynamos: Paper Craftiness With Twinkle! We walked in this morning and found that Twinkle had gotten into my special paper I'd put aside for my formal observation the principal's visit to see how the students are behaving and learning. Instead of using it to make ultra-awesome regrouping Bridge Maps, Twinkle made a paper chain! 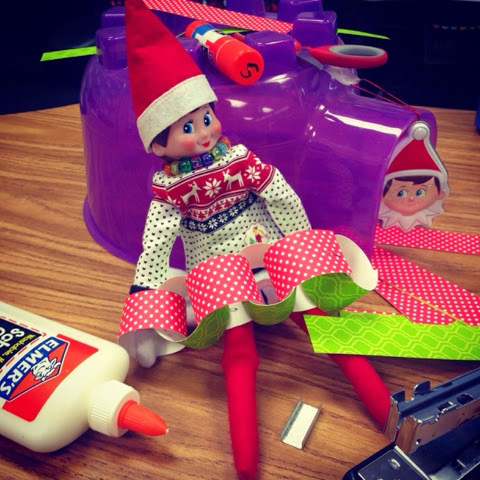 She even got into my glue, scissors and Willie's hideaway! I wonder what she's doing Right.This.Very.Minute!! !